Peace. Shalom. Being at ease internally and externally. 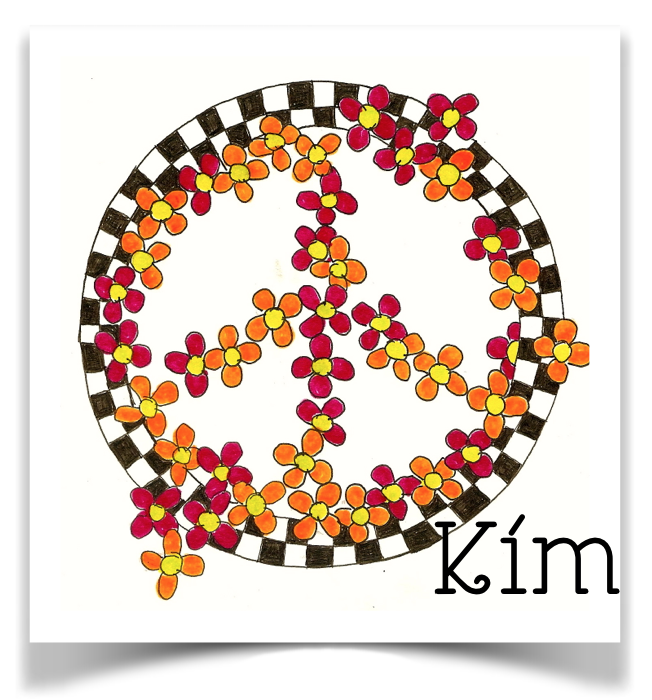 My word for 2014 is peace. This year I have been studying how to find peace, and how to hold on to it. Having peace does not mean that the problems have all been solved. Having peace means that the problems have all been given to God with faith that He will handle them, and so they are no longer viewed as problems. God’s peace is always available to me. 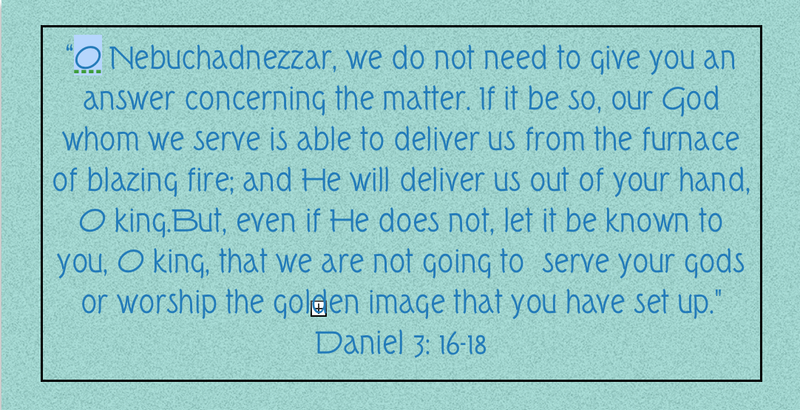 God is unchanging and the Holy Spirit does not take a vacation. So, if I am missing peace, it’s me causing it. When I am most in need of peace, the fastest way there is to focus on the proven character of God. There are plenty of examples of that in the bible. From the boys, I learn that the peace they have about being thrown into the furnace comes from the fact that no matter the outcome, God is in control of the situation. He is bigger than the fire and the furnace. The boys were not worried, they were at ease. They had peace. 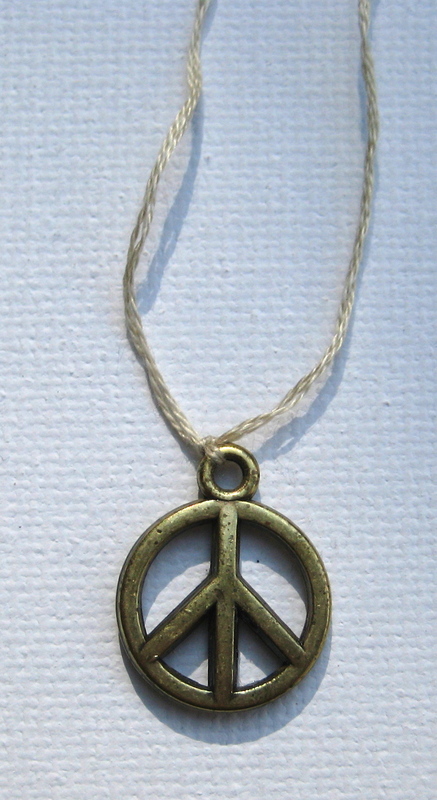 I know peace jewelry reminds some people of a turbulent time in the 70s, but it reminds me that peace is mine whenever I need it. 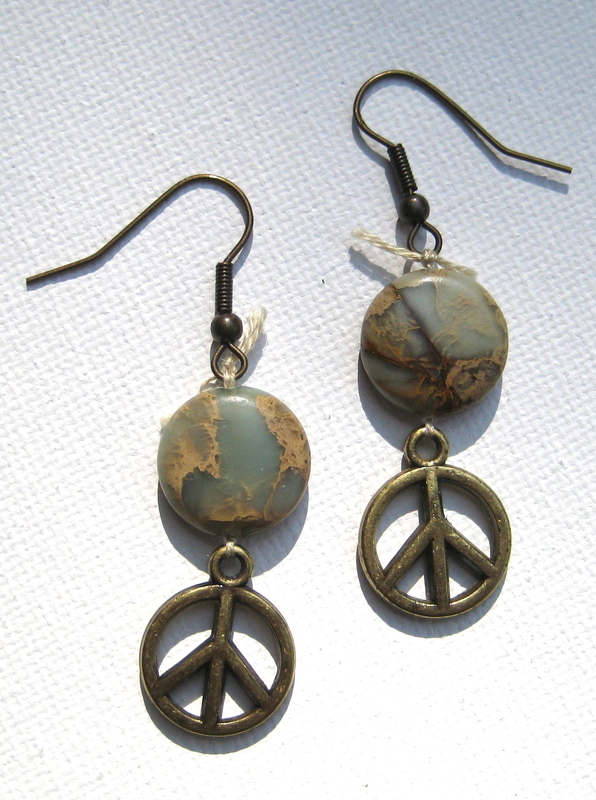 You can make these peace sign earrings in 10 minutes. 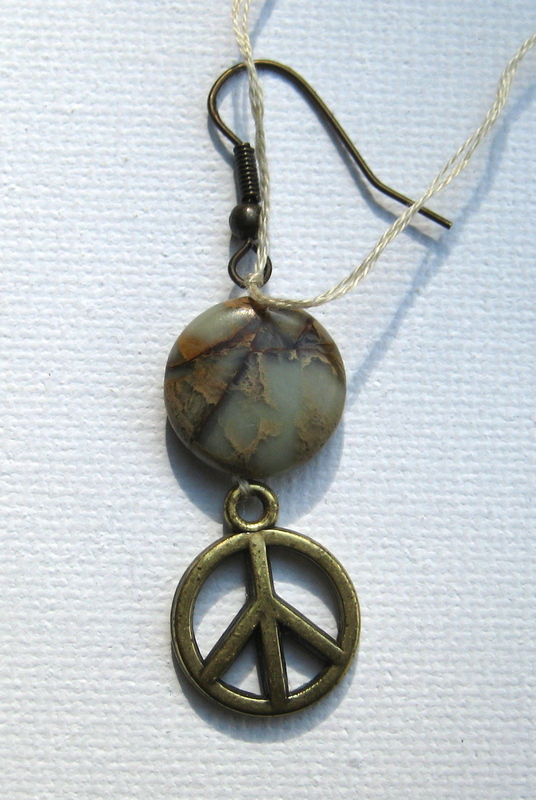 If you have never made jewelry before, you can make these in 10 minutes. If you have made a zillions pieces of jewelry, you can make these in 10 minutes. No tools are required but a pair of scissors. 1. Separate the floss so you have two pieces of three strands each. 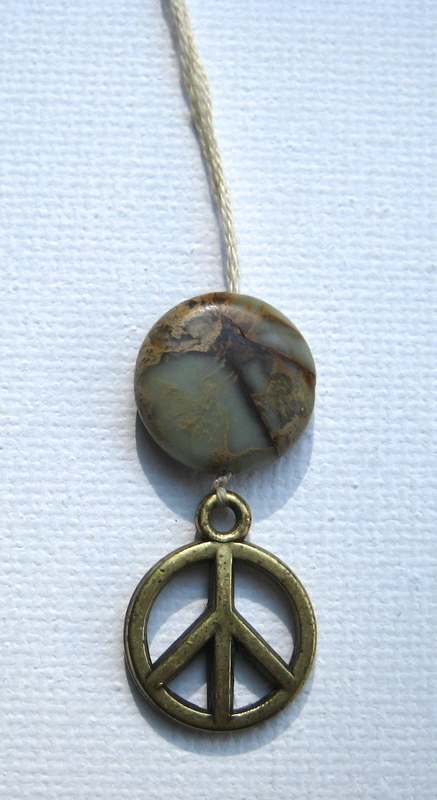 String a charm to the center of one piece and tie a knot to hold it in place. 2. Hold both ends of the floss together. String a bead over both. 3. Separate the floss pieces. Slide an ear wire over one piece. Knot floss ends together, keeping the ear wire close to the bead. 4. Trim the ends of the floss. Repeat steps 1-4 to make the other earring. You can add a tiny drop of glue, if you want, on the knot at the ear wire. Use jewelry glue or any glue that dries clear. Do you have a favorite story of personal peace from the bible? Who and what is it about? Share!